At Bratcher Chiropractic, we recognize that your choice of a chiropractor in Tyler is driven both by the chiropractor's competency and personality. When searching for chiropractic treatment, you need a chiropractor who is experienced, understanding and supportive. You get this caring attitude from all the staff at Bratcher Chiropractic every day. Our staff works together as a team to ensure we are responsive to your needs and keep you informed about your health issues. We look forward to getting to know you. Dr. Luther B. Bratcher, D.C.
Dr. Bratcher has been in private practice since 1969. He graduated from Stephen F. Austin State University with a Master's degree in Exercise Science. 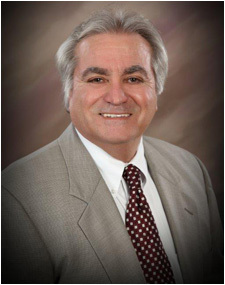 Dr. Bratcher attended Texas Chiropractic College and received his D.C. degree in 1969. He is a member of the Texas Chiropractic Association, and the American Chiropractic Association. Dr. Bratcher is certified in Acupuncture from the International Academy of Clinical Acupuncture. He has received two years of post graduate training in nutrition from Texas Chiropractic College. Dr. Bratcher is also a Certified Impluse IQ Instrument doctor. Dr. William X. Bratcher, D.C.
William Bratcher graduated from Robert E. Lee High School in 1987. He then attended Tyler Junior College for his undergraduate studies and also played on the tennis team. 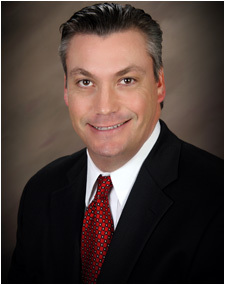 Dr. Bratcher attended Parker College of Chiropractic in Dallas and received his D.C. degree in 1992. Dr. Bratcher is a member of the Chiropractic Rehabilitation Association, American Chiropractic Association, and Texas Chiropractic Association. He also is a Certified Impluse IQ Instrument doctor. Dr. Bratcher is also a DOT National Registry Certified Medical Examiner.